Thank you, it has been a pleasure. Being the Vice-President Sports Development has been a huge honour and an experience that has taught me a lot! I am extremely proud of the work done by my officers and I, as I believe we have shown that student officers can make big changes for both future and existing students over the course of a year. My Student Leaders (Lucy Dowdall, Jamie Wilson and Adam Proudley) have been outstanding. They have taken a lead on major projects and made changes in each of their respective areas. Their passion has been infectious and replicated by the members of the two sub-committees, the Athletic Union and Intra-Mural Committees who have been fantastic. It is the work of the volunteers in the Sports Zone which has made the biggest difference this year. Every project that I have undertaken has required student buy-in and I have been lucky enough to have had a group of AU Club Presidents who have believed in those projects and helped improve them. This year has been challenging for a variety of reasons, the job itself it not always easy and is very time consuming (there is no such thing as a 35 hour week for a sabb). In addition, I have a set of exams to complete this summer and had to deal with the illness of a close family member. My Sabbatical team and SUSU staff have been really helpful in ensuring that I got through those difficult periods without letting students down whilst taking time off – and I am hugely appreciative of their help. Creation of a Zone Strategy – This strategy was pivotal as is it has given us a clear sense of direction for all clubs. It has given us a set of unified values and creates a development pathway for all students, which recognizes the need to offer sport for all abilities. The launch of Team Southampton – The Team Southampton Project was about establishing a unified sports brand for the 80+ sports clubs/societies we have. A rebranding project which saw £90,000 worth of sportswear given to our Athletic Union clubs to create a visual identity which is recognizable both on and off campus. I have to mention the fact that we created a pretty slick video in less than 24 hours! Varsity – Even without the scoreline (204-64 in case you forgot), the day would have been a huge win. We sold 1,200 t-shirts, had over 3000 people at the event and had a sell out after party. The general buzz created by Varsity was one of my proudest achievements. 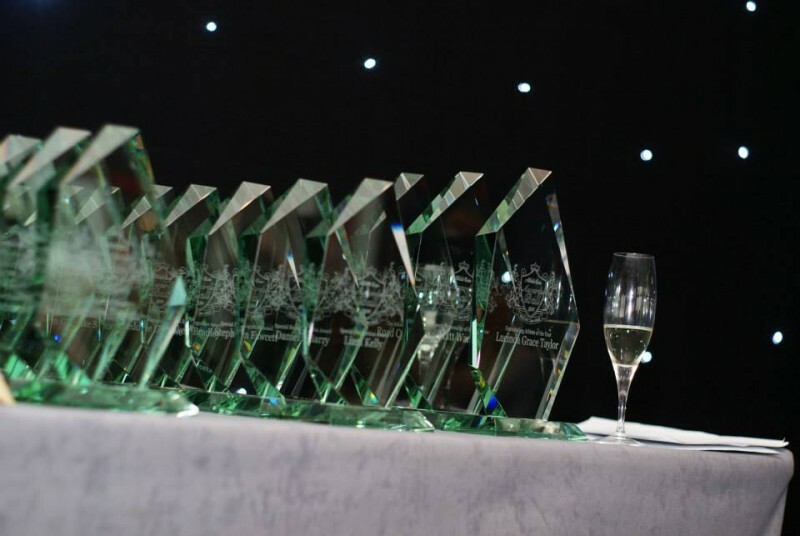 Athletic Union Awards Ball – The effect of Team Southampton was very clear to see at our events this year. The AU Ball sold out in under three days! The evening was a huge success and the team spirit displayed reinforced why a strong identity is so important. Team Southampton Tour – This year, with the creation of Team Southampton in mind, we decided to centralize the AU tour to Salou. This not only brought in much needed revenue for the zone, but it meant that we travelled and stayed as a Team. Putting Team Southampton in the community – Over the course of the year we have made links with local schools and we hope to provide a range of after school clubs for these schools next year. Sport Relief Mile – One of the projects which took up a large proportion of my summer was getting SUSU and Team Southampton involved in saving this year’s Sport relief Mile. It was an event that went really well and it was a pleasure to have a joint project with Claire Gilbert, who really helped the project go ahead. Team Southampton Online – From July, you will be able to support Team Southampton and buy the non-playing kit. We hope that we will create a web of support that is present at Bath and Loughborough, where all students, not just those participate, support the Team. Creation of the Inaugural Intra-Mural Committee and Officer– Before this year, students who participated in Intra-Mural had no forum to discuss the issues with their IM experience. We created the committee for the first time this year and successfully passed a rule change through council to create an Intra-Mural Officer student leader. Develop a sporting vision with Sport & Wellbeing – This year has seen an incredible change in the way SUSU and Sport and Wellbeing interact. We have put in a joint bid to obtain over £150,000 worth of funding from Sport England and we have agreed on a visionary statement for a joint sports strategy by agreeing to celebrate the unique and diverse sporting opportunities we offer as a University. Review of our sports structure – The new Zone strategy recognizes the importance of clearly marketing the different sporting opportunities on offer. It is clear that people can be put off if sport is not advertised at the level that is appealing to an individual, so the break down of the various opportunities we have (Team Southampton, Intra-Mural and recreational sports) should entice people to get involved whatever their ability. Creating an Accessibility Sports Officer – This position was made to enable our Athletic Union clubs to develop in a way which removes barriers to participation such as; Race, Religion, Gender, Cost and Disability. SUSU take control of IM and reduce entry costs by 60% – This is one of the biggest structural changes to the sporting set-up at the University in a while. Giving students the last say on their sporting experience will undoubtedly improve IM. In addition, this change will see IM incorporated in the zone plans more fully, meaning that we can push participation in our IM sports more effectively – the lower cost will mean that the IM programme will be a lot more appealing to those that wish to try sports. Creation of a Disability Sports Strategy – This document will give clear guidance to the zone over the next two years to help increase participation from disabled students. Re-opening of Facilities – Both the Bouldering Wall (with huge help from our Mountaineering Club) and the Old Sports Hall were re-opened, meaning more facility time was available to our students. Completion of the Service Level Agreement – This was a piece of work started by my predecessor, Dean Jones. It formalizes the relationship between SUSU and Sport and wellbeing and ensures that our clubs get the best sporting experience and that the relationship between the two organization remains strong. Biggest Zone Budget Ever – Sport is expensive, especially as you move up through the different tiers. As a result, I wanted to ensure that the zone maximizes the financial support it gives to it’s student groups to reduce the cost to our students so money does not inhibit any student from playing sport – thank you Trustees! One aim of the Team Southampton project is to continually renew/update the sponsorship every 2/3 years to remove the £90,000 cost of playing kit from students. Moving traffic from the Jubilee gym – This is a perennial problem and one that is exceptionally hard to solve. But I hope that the renovated gym space in the Team Southampton Gym, the expansion of Focus Sports and the incoming Mayflower gym should mean that students have more options to get themselves into a facility which isn’t too busy. Varsity 2014 – We hammered Pompey 204-64! Expansion of Focus Sports – This year the focus sports programme was expanded to incorporate 5 teams. This decision was made to ensure more of most able teams had access to top class Strength and Conditioning coaching. Improving the structure of the Zone – There is now development pathway from recreational sport to Intra-Mural Sports through to our competitive Athletic Union Clubs (Team Southampton). Increasing the amount of financial support to clubs – I wanted to ensure that club had more money to spend on things which would improve their performances by increasing the financial support they received from SUSU. We have increased the zone budget from 245k to 282k in one year, we have also brought in other sources of income from new sponsorship deals KPMG £40,000 (2years), ILT £6000 and £2000 from AU fundraisers. On course for a Top 20 BUCS finish and for one of our highest ever points totals. 6 clubs reached the BUCS Cup finals (Basketball, LaX, Women’s Rugby, Netball, Ladies’ Hockey and Volleyball). Taekwondo & Rifle Club cemented their positions as the best University Sports clubs by retaining their top spots for the 5th consecutive year. The Cycling club established themselves as an up and coming force in University cycling with a large number of podium finishes. Windsurfing have continued to dominate the SWAs and BUCS comps. The Sailing Club retained the title of National Yachting Champions & will go back to the world Championships. The last thing I have to say is Thank You. The support I have received this year has been superb and this was reinforced at the AU Ball when Lucy Dowdall and I were presented with an award and a standing ovation – things like that make the all of the hours worthwhile. I wish Katie the best of luck next year, although I am sure she won’t need it. 2 Comments on "Thank you, it has been a pleasure." I am so proud to live in the same country let alone same city as you. The knowledge I may be breathing in the very same air you may possibly have breathed out fills me with endless joy. You are a true inspiration and a role model for all of the people. Just thinking about the wonderous things you have acheived this year gives me goose bumps. MAY YOUR FUTURE BE AS BRIGHT AND STUNNING AS YOU YOURSELF ARE. NEVER STOP BELIEVING. PLAY TO WIN IN ALL YOUR ENDEAVOURS. MAY TEAM SOTON FOREVER REMAIN IN YOUR HEART. ENSURE YOU RECYCLE WHERE POSSIBLE. Just want to say a massive thank you for all the work you and your colleagues at SUSU have done over the last year. You and your colleagues have entertained ideas that the paintball club never thought was going to be possible and helped us build a bigger and better team. We’ve got a long way to go still, but we’ve come a long way since the start of the year. We’re looking forward to seeing Katie continue to support us as well as you have.